The Kling-Force is a platform I develop at ArKaos. It will be used as a robust way to drive light fixtures build with LEDs. 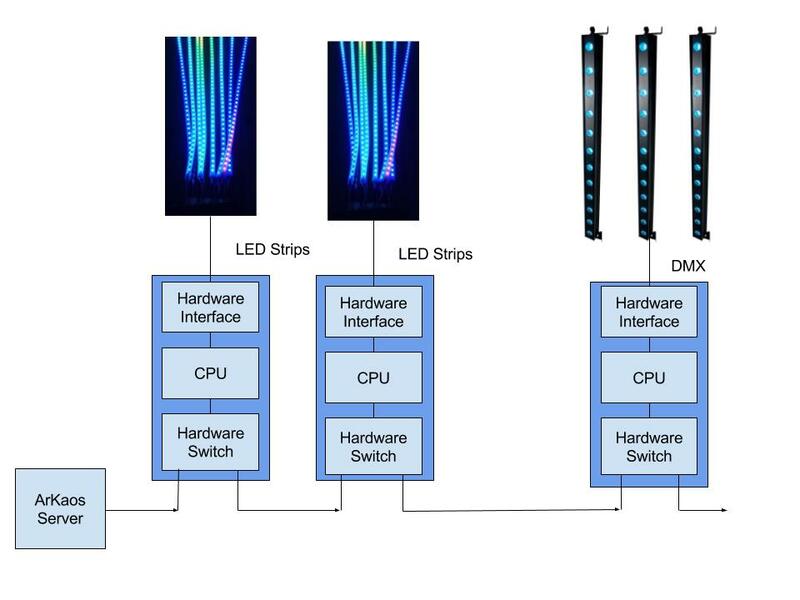 ArKaos is working on 2 interfaces built on the Kling-Force platform, one to drive LED Strips and one to drive traditional DMX fixtures.